1 Drain the yoghurt in a sieve lined with paper towels for 1 hour. 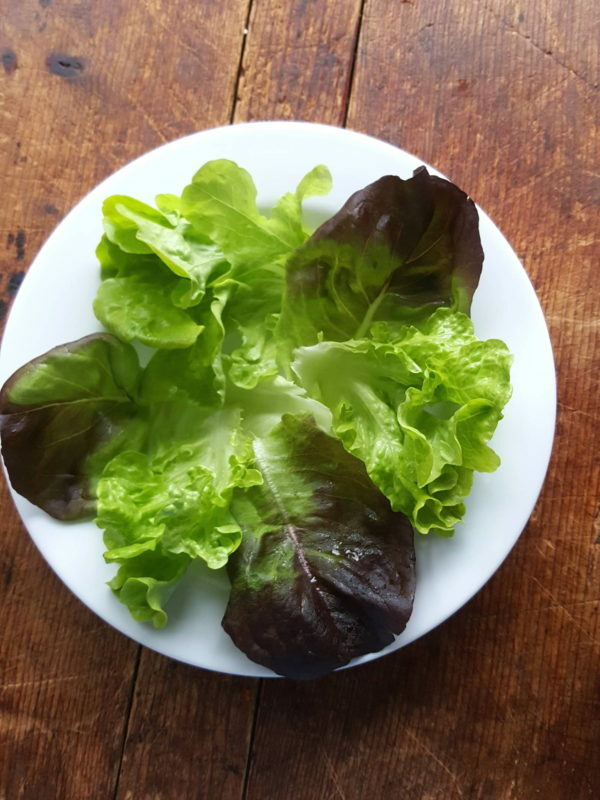 2 Trim lettuce, break apart into leaves, wash and spin dry. Lay pieces of pickled pink ginger on paper towels to dry. Remove skin from salmon, mop off excess oil, then break apart into flakes. Peel cucumber, cut in half down the length and scoop out the seeds. Slice cucumber into half moon shapes. Halve avocados, remove stones and skin, and slice flesh thickly. Shred mint leaves. 3 Divide lettuce leaves among four plates (I used a pasta bowl in my shot). Layer up ingredients – cucumber, coriander, mint, salmon and avocado with blobs of drained yoghurt, a little sea salt and black pepper. Arrange pickled ginger on top, then scatter with crispy shallots. Serve with lime or lemon edges for squeezing. Crispy shallots are available from Asian stores. You can use a smoked fish of your choice in place of hot-smoked salmon. Any leftover drained yoghurt will keep several days in the fridge. 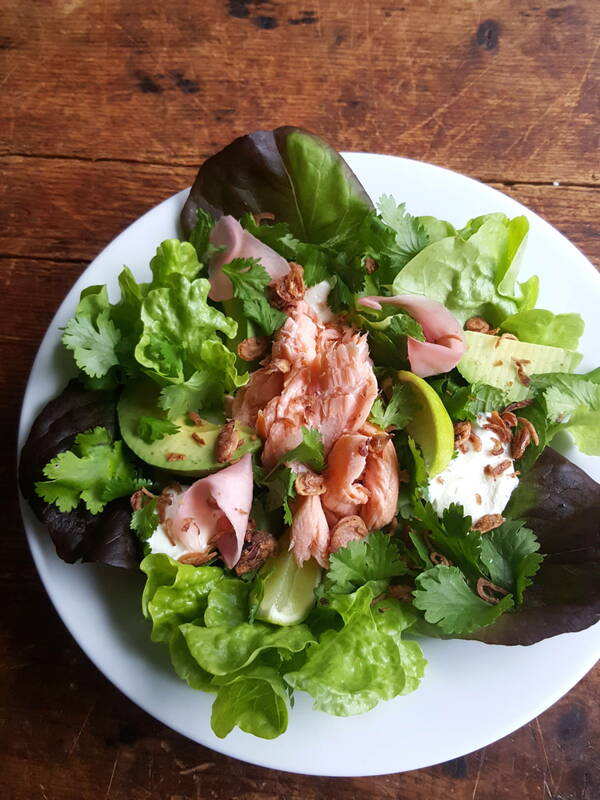 Start with fresh leaves and add salad ingredients, fish, meat, eggs or cheese to make your favourite salad bowl.